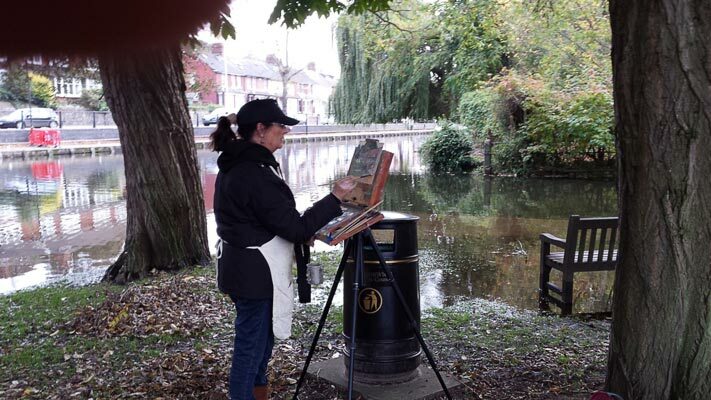 Painting outdoors in all weathers was first pioneered by East Anglian artists such as has such as John Constable and The Cotman family, so it entirely appropriate that the city of Norwich recently hosted An En Plein Air art competition for the twenty first century. 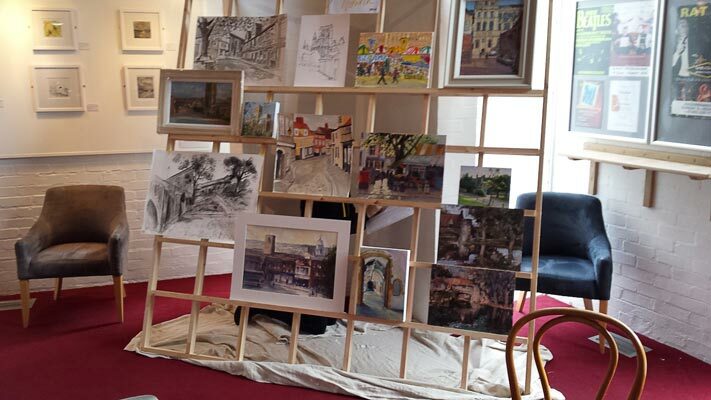 Interest in Paint out Norwich was high and 30 artists working in paint, pastel, watercolour and pencil were selected from over 60 applicants. They were given four two hours periods over two days to paint various landmarks round city.. The work was then displayed in an exhibition and offered for sale at a gala auction. My involvement was twofold. I helped select the artists to ensure a good range of styles and mediums. 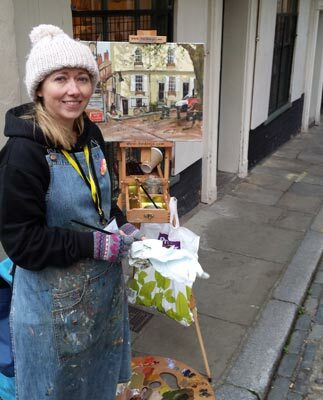 Some artists from other parts of the country were unfamiliar with Norwich so it was very important to be on hand to assist them in any they required and help them feel relaxed and able to produce good work. There were drinks and dinners which gave them an opportunity to swop tips and gossip. I was also asked to help attract press both locally and across Britain. 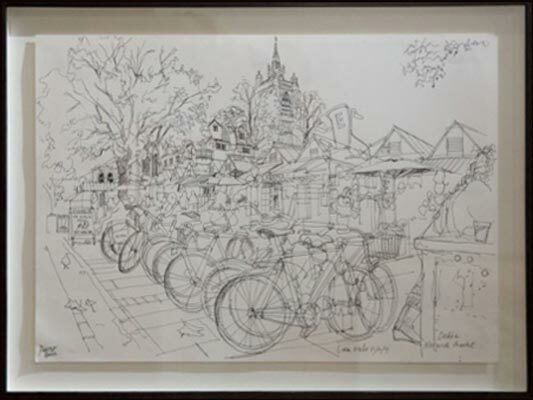 There was much coverage in the Eastern Daily Press art blogs and “Paint out Norwich” was “Critics Choice” in the Times. “Wow, what an amazing event Paint Out Norwich was. The team work and organisation, the other awesome artists, the friendly locals, the Maddermarket theatre, the sponsors. The whole thing was brilliant from the start” says Haidee Jo Summers, who won the First Prize of £1000.